D.C. Circuit delays SSM rule litigation. On April 24th, the U.S. Court of Appeals for the District of Columbia Circuit issued an order indefinitely delaying oral argument and holding in abeyance litigation over EPA’s 2015 Startup, Shutdown and Malfunction (SSM) Rule according to a May 2,2017 Mondaq report. The order comes in response to EPA’s request for a continuance to allow it to review the SSM Rule for possible modification or repeal. EPA must file status reports on its review of the SSM Rule at 90-day intervals beginning 90 days from the date of the order. Within 30 days of EPA informing the court of what action it has or will take with respect to the rule, parties to the litigation must file motions to govern future proceedings. 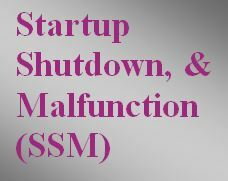 The U.S. Court of Appeals has indefinitely delayed oral arguments and is holding in abeyance EPA’s 2015 Startup, Shutdown and Malfunction rule in response to EPA’s request to allow it to review SSM for possible modification or repeal. Contact MIRATECH for information on emission controls for your engines.